Every time that you drive down the street, you pass dozens of utility and telephone poles. If you're like most people, you probably drive right by without a second glance. Others know that these poles are one of the best materials for home projects and arts and crafts projects. You don't need to tear down those poles or look for older poles for sale either. You can purchase brand new materials from a utility pole manufacturer and try your hand at making some unique decorations for your home or yard. When you plant flowers in your yard, you need to be aware of potential problems that can pop up, including wild or domesticated animals digging up those flowers and the soil shifting. 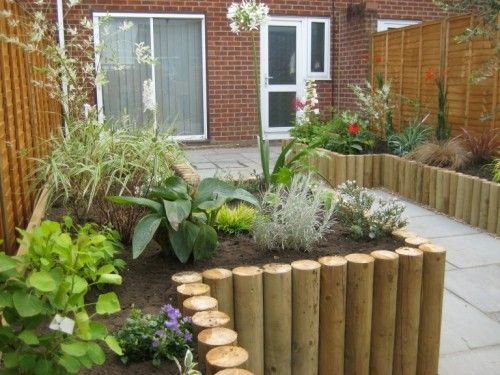 Using wood poles to create raised flower beds helps you avoid some of those problems. These flower beds feature two or more poles set on top of each other to form the overall shape of the bed and soil that you pack inside until the dirt reaches just below the surface. You can use the poles to make any shape or outline that you have in mind too. Do you want to make your staircase into the focal point of your home? When you go to look at the different railing and banister options available from most home improvement stores, you'll find that you only have a few different options. With utility poles, you can make your own railing for any staircase. Most people cut the poles in half and use just one piece to make the railing. You can make your existing banister work with that railing. These poles are often suitable for making a railing that surrounds your deck or porch too. Rustic furniture has a friendly and welcoming look but costs more money than you might want to spend. With utility poles, you can make your own rustic furniture. To make your finished pieces look even more rustic, try leaving those poles outside for a few months to let nature weather the wood. You can then cut the poles into different size pieces to make table legs and tops, chairs and even benches for indoor or outdoor use. Once you find a good supplier of telephone and utility poles, you can purchase all the wood that you need to make any of these projects.